Beautiful and Magical may be two of the most over used words in real estate along with their cousin Unique. Yet no three words are better suited when describing the Village of Deer Harbor and life on Orcas Island’s West Side. Glacially gouged 12,000 years ago Orcas Island’s sunset-facing west side nestled beneath a snow-capped Olympic Mountain Range canvas offers the empyrean Pacific Northwest Life. 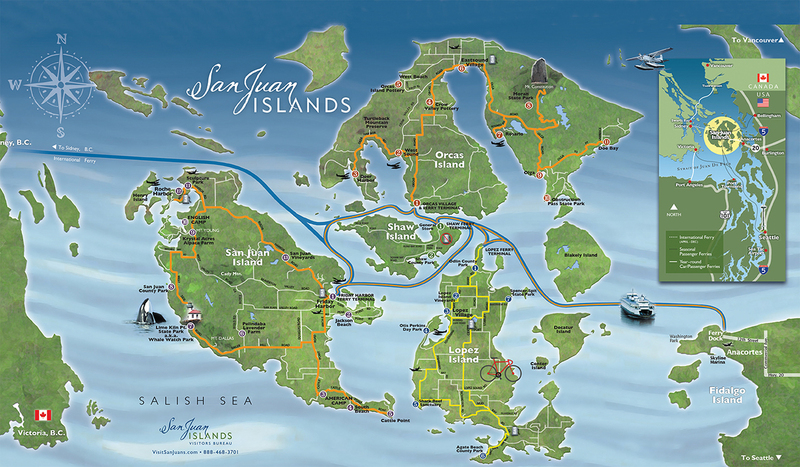 Getting to and from your island home could not be easier. The Orcas Island Ferry Terminal is a mere 15-minute drive from Deer Harbor Village, the fixed wing airport of Eastsound only 20 minutes and for direct access to your Orcas Island west side home by private or chartered marine vessel, and even the commercial seaplane flights of Kenmore Air, Deer Harbor Marina, the largest and oldest on Orcas accommodates for vessels up to 120ft with a first-class modern facility. Once here you will find a gem. Deer Harbor and the west side of Orcas Island offer some of the best and unique lodging, shops, restaurants, activities and services the San Juan Islands have to offer. Whether you are looking for adventure or a mellow island vibe Orcas Island’s west side provides. Beautiful scenery abounds, pleasing both your eye and soul as well as setting the tone for a life, magical even for Orcas Island. We’re guessing you’re on the edge of your seat and ready to start living your best life on the west side of Orcas Island. This is where Wally and the Gudgell Group come in. Our team has several outstanding listings to answer your call, as well as insight to the entire listed inventory and many opportunities only ‘known’ to locals.